Just games is a platform for free online games. All our games are hand-picked daily, so you are guaranteed to have the best game titles. You will never be bored beacause we will give you game recommendations based on the games you play and like. Our algorithms make sure you never miss the newest games. If you love dressup games you always will see the best dressup games, if you like mahjongg games you will see the best mahjongg games. Most of our games are cross-platform so you can play them everywhere. Our mission is to serve the web the best game website! We offer more then 20.000 free justgames! We offer you the best just games that the internet offers. Updated daily, you can play the newest games on your computer, smartphone or tablet. Most games use your mouse or touch, keyboard or your tilt sensor. Feel the speed when playing our race games, crack your brain with our puzzle games or if you are a girl enjoy our girl games like our dressup, makeover and cooking games. Just Games offers you all the best online games in our game categories. We have sorted our categories on the most popular games, like soccer games, dora games, .IO games and multiplayer games. 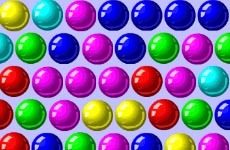 We also have much of the classic games like bejeweled, mahjong and bubbleshooter. But we also feature the classic mario games, sonic games and tetris. New are our game series, series are a collection of games that features more versions. New game series we have added are tetris games, cut the rope games and fireboy and watergirls games. Some games offered on Justgames.com such as blackjack and roulette can be played at best online casino's. Playing for real money gives even more excitement and sensation. But be careful not to risk yourself.